This is a video of the sound and light installation “Connections: Blue (2019) by Troy Ramos. It was unveiled in Kalamazoo, Michigan at Art Hop on March 1. The next display of this work is TBD. Support for this work provided by the Kalamazoo Artistic Development Initiative, a program of the Arts Council of Greater Kalamazoo, by our Go Fund Me campaign and by ArtHouse 43. These works are a harmony of sound and light entities. The spaces themselves are a big part of the work and help to shape how visitors experience it. The process for creating these works began with the spaces. Both the sound and light elements were created and curated in a way which allowed the results to feel as though they emanated from the structure of the space itself. This sounds for this work are based off of sounds which existed in the rooms already. These recordings were then transformed into the works you hear in both rooms. Within each room, Blueand Red, you hear the sounds from a different visual perspective. For more information on Troy Ramos, his art work and sound albums, please visit www.ArtHouse43.com/TroyStar or TroyRamos.Bandcamp.com. This past weekend I unveiled a new sound and light installation called “Connections: Blue and Red.” It premiered in downtown Kalamazoo at Art Hop and was featured alongside works by six other artists. The work was made possible in part by funding from the KADL grant awarded by Arts Council of Greater Kalamazoo, all of the awesome donors to my Go Fund Me campaign and ArtHouse 43. In typical recent fashion, I was given my own room, some sort of former office space, to create this work. I was also allowed to use the room next to it, which was similar in style but smaller. As you may/may not know, I like the works to emanate from the structure of the space. I like to curate the lights in such a way that they feel in harmony with the flow of the room. And for the sounds, it’s the same thing, although, this time, I actually recorded some naturally occurring sounds in the room (fans, odd buzzing. heater noises, and created a sound work based on that. I think everything turned out really well and the turnout was solid. It’s also always great to have a show because you get to connect with new friends and reconnect with supportive old ones. In some of my conversations I had some interesting epiphanies that I will talk about on the podcast, ArtHouse Radio, so please look for that; probably this week’s episode. You can get a basic idea of the work through these pictures. I’m also working on a promotional video and that should be up sometime this week or early next week. Thanks to everyone for their support for this show and I’m looking forward to the next one. Onward and upward! Support provided by the Kalamazoo Artistic Development Initiative, a program of the Arts Council of Greater Kalamazoo, by our Go Fund Me campaign and by ArtHouse 43. 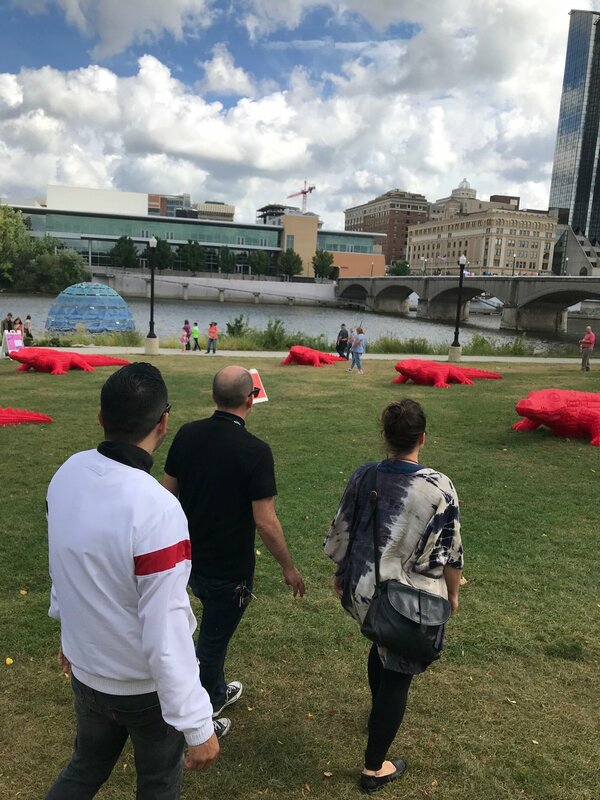 Artist Troy Ramos has been generously awarded the KADL Immediate Needs grant by the Arts Council of Greater Kalamazoo for a new work to be unveiled at Art Hop on March 1. The work will be located at Arcadia Commons at 225 N. Rose St in downtown Kalamazoo. Ramos’s work will be a brand new sound and light installation and will have its own space within the building where several artists will also have works exhibited. Arts Council of Greater Kalamazoo has generously supported Troy Ramos’s project “Connections”. Connections will be on display Friday, March 1 starting at 5pm and will also be on display Saturday March 2 during the day (hours TBD). To learn more about Ramos’s art visit www.arthouse43.com/troystar. And to contribute to his Go Fund Me campaign visit www.gofundme.com/ArtHopConnections. You can follow Troy on Instagram @troystond, on Twitter @MrTroystar and on Facebook at www.facebook.com/soundsliketroy. Connections premieres at Art Hop in Kalamazoo on March 1! Since Detroit-based artist Troy Ramos moved back to Michigan a few years ago, he hasn’t wasted much time connecting his work to the arts communities here. He works with sound, light and video, creating experiences in artistic spaces he refers to as: “..kind of the art work itself”. On March 1, he’ll premiere another new work at ArtHop in Kalamazoo, MI. This new work is a sound and light installation called Connections. Ramos’s work is often about creating calm, reflective environments which allow us to question how we think of art and existence. For this new work, Connections, visitors are encouraged to use this space however they wish and to stay for as long as necessary. This work is about the interaction with art being the art itself, in many ways. It's a platform for visitors to experience themselves and the universes around them. The sound and visuals for this project are created, organized, curated and implemented by the artist Troy Ramos. This is a new art work and will be premiered at opening night at ArtHop on March 1, 2019 at 225 Rose St. in downtown Kalamazoo. This space will have numerous other artists showing work throughout the building. 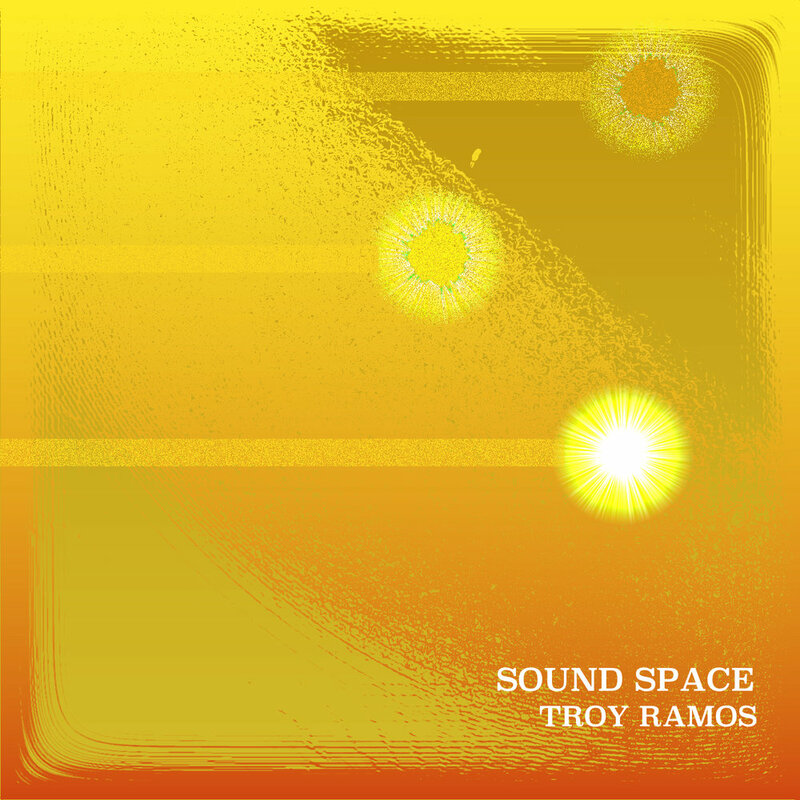 Troy Ramos is an artist, composer and curator based in Detroit, Michigan. He’s also the founder of ArtHouse 43. He creates sound, light and video installations and has had his work shown across the US. He has received numerous grants and awards. Most recently he received the KADL Grant from the Arts Council of Greater Kalamazoo for his sound and light installation Connections, which opened at ArtHop in Kalamazoo. He was also recently the recipient of the $5,000 Pitch Night Detroit Award from ArtPrize for his sound and light installation Sound Space, which premiered at ArtPrize 10. Mr. Ramos earned his MA in Music Composition from the University of York (England) in 2008. Since then he has worked in artistic spaces and also releases sound works on iTunes, Amazon and Bandcamp www.troyramos.bandcamp.com. I do not project meanings onto my artworks. They have their own meaning: themselves. I intentionally avoid the literal because I want to maintain a level of abstraction, always. I don’t wanna break the fiction, I don’t want to tell anyone. I want to live in the story and imagine. Everyone’s different, of course. But I’m looking for more articulate moments of my own, and this is reflected in how I perceive and approach creating my own works. 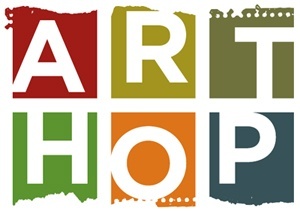 Support New Art Installation for ArtHop in Kalamazoo! I’ve got a new sound and light installation for an art event called ArtHop in Kalamazoo, MI. I was asked by a friend and colleague to create a new work in his space for this event. I need support to help pay for materials to create this work and install it, for travel costs so I can be there to set it up and be there during the event, and for promotional costs so that people know it's happening.I’ve applied for a $500 grant at the Kalamazoo Arts Council to help make this art work happen, but it’s a matching grant; that is, I have to raise $500 to match their donation. That’s why I’m here on Go Fund Me, to ask for your support! Your support, anything you can give, would mean everything. It would also mean that a brand new art work will be created, exhibited and will allow art lovers in Kalamazoo a chance to interact with my work. It’ll be a great experience for me and will hopefully be a positive experience for the Kalamazoo community. This project has a VERY tight timeline. The art show is March 1-2, 2019. I would need to buy materials by mid February (at the latest) and then have travel costs ready and begin setting up on Feb. 25. I need your help to make this happen! Jan. 2-Feb. 1: Planning begins/Testing of materials begins. Jan. 8: Meeting at the space in Kalamazoo. Feb. 10-17: All materials must be purchased. Accommodations for setup/opening night should be reserved. Feb. 25-28: Installation at 225 Rose begins. March 1: Opening Night. Project is unveiled. March 2: Exhibit continues for an extra day. March 2-3: Teardown of exhibit. Every installation I create, every art show I have, makes me a better artist. I create works which function like contemporary art that you can walk into. The experience of having a full body and mind interaction with the art is, in some ways, the art work itself. This artwork, Connections, creates a sense timelessness for observers. The work will be in its own room, with a visual display of minimalist lights and a new sound-art work playing on speakers throughout the room. The space itself is part of the experience. My work is about creating calm, reflective environments which allow us to question everything we think about art and existence. Visitors are encouraged to use this space however they wish and to stay for as long as necessary. This work is about the interaction with art being the art itself, in many ways. It's a platform for visitors to experience themselves and the universes around them. This project will be created, organized, curated and implemented by the artist/applicant Troy Ramos. This is a new art work and will be premiered at opening night on ArtHop on March 1, 2019 at 225 Rose St. in downtown Kalamazoo. Thank you! Please support my work, it would mean everything! Artist Troy Ramos Launches Project 100 with "Birth of a Ghost Bike"
“Project 100” is the idea where you donate $25 to www.ArtHouse43.com and in return I, artist Troy Ramos, will write a composition/sound work for you! This work can be specifically for you or based on something of your choice... a photo, a poem, your name, a word, an image, whatever, anything! This is the ultimate collaboration with a max of 100 people who can participate. It'll become one, big sound project with up to 100 different elements! Just click Support and commission your ORIGINAL music composition for only $25. Then send me anything you want me to focus on, theme-wise, if any, and I'll write the work. With that in mind, this is what Ramos came up with. The beginning is obviously light and fun and playful, but then towards the end it gets a little bit grittier than he’d normally write, almost like a sound dragon breathing fire on to the ears of the universe. 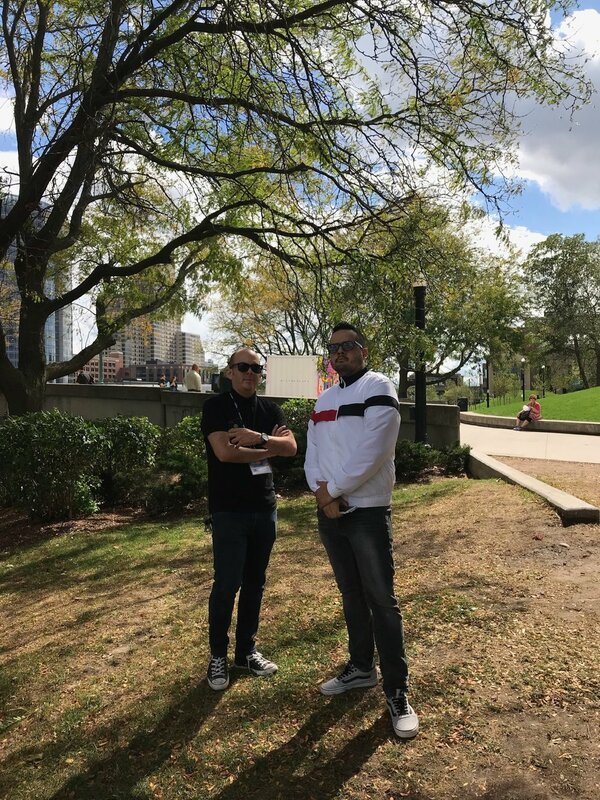 After a fantastic opening weekend for the art show “Phasing Moments”, a collection of 9 connected works by brothers Troy and Chris Ramos, Troy Ramos has released his works for the public to view online for free. The interesting collaborative element to all this is that all 9 art works were created in the spirit of the works created before them. Using video, sound and painting, the artists took an idea, started with one medium and then passed this idea back and forth, using the previous works as a starting point to create a new work. This process was then repeated every time, with each work of art being connected to all of the previous works in some way. So below you will see the video works and their paired sound works, simultaneously. So you’ll hear two of these nine works when you watch one of the videos. And by watching all three videos, you’ll have experienced six of the nine works. Detroit Sound Artist Troy Ramos Releases New Ambient Piano Album "Twelve Stars"
“These twelve piano works were created in the same moment in time. They are all part of one idea. Multiple melodic lines drift calmly around each other throughout the entire album. All of these sounds were pulled from somewhere in the cosmos and simply organized by one person. In other words, this work is a cosmotic sound sculpture. I was living in Lansing, a fine, gritty midsized city in the middle of Michigan, drifting from one week to the next. I was working tirelessly during the day to pay my rent, and feverishly creating art projects at night, desperately trying to construct an escape route from the monotonous, underpaid life of the everyday American worker in the hopes of simply being able to make it as an artist. Even if I was a poor artist, barely surviving, I would take that scenario every time. I think every artist has to develop their own process. I’m not sure if it’s possible to create interesting works without a tailor made, fantastic process. Maybe somebody can create art without it, I don’t know. But I can’t. And it was around this time that I completely embraced the process that has worked for me ever since. It’s a pattern that fits me like a glove and, somehow, through some weird stroke of fortune, it produces the most interesting works I’ve ever done, as well. I call this process Naturalism, mostly because it comes naturally to me. It basically means that, when I create something, I trust the artistic skills I’ve been developing for nearly 25 years and allow them to work without my analytical brain getting in the way. The goal is to avoid the ‘paralysis-by-analysis’ trap and just write. But another strong aspect of my process is time: I think (for me) it’s important to create works in as short a time span as possible, so as to create something which encapsulates a specific point in space and time. For myself, if time is passing and it’s taking longer and longer to finish work, this work ends up becoming a representation of different mindsets and different perspectives. And I don’t want that. I want it to be from a particular point in my life. And this is exactly the process I used to create this album, “Twelve Stars”. Sometimes I hesitate to tell people how quickly I can write something because they may dismiss it as a work that hasn’t been thought through or has been rushed, etc. But that’s not the case for me. Works that I write quickly are my best works, in every regard. And so for this work, “Twelve Stars”, I wanted to write two piano works per day, for six days straight. I wanted to have this album done within a week. The mixing and editing process always takes a few weeks after that, but I wanted the composition of the content to be done in one week. And that’s exactly what happened here. And I honestly don’t think anybody would listen to this and tell me that it sounds like it was done that quickly. It’s always the opposite reaction that I get. The way that I layer these works gives it so much depth, I think. I always start with one line, and then I add in another line, and then I maybe add another voice (in this case, a piano voice). And I do that until it’s finished. I think if you listen to this album from start to finish, you will quickly see that it encourages a certain type of reflective mood. But as you listen on, or listen more intensely, if you wish, I think you also hear a lot of themes that pop up throughout the album. It’s a soft, thoughtful and thematic album, full of mellow-vibes and timelessness. This is easily one of my favorite works I’ve ever created. I hope that you enjoy it and I hope that you will consider supporting me by purchasing the album via the link below. I used to put my works on iTunes and Amazon, but they take such a large cut that I try to avoid using them. Bandcamp is great because it allows me to set a minimum price and people can pay whatever they wish beyond that. Thank you for reading this and please feel free to send me any thoughts or questions you may have about the album. I’d love to hear from you.